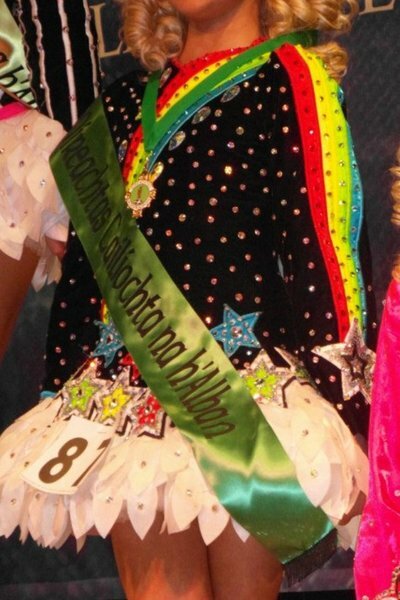 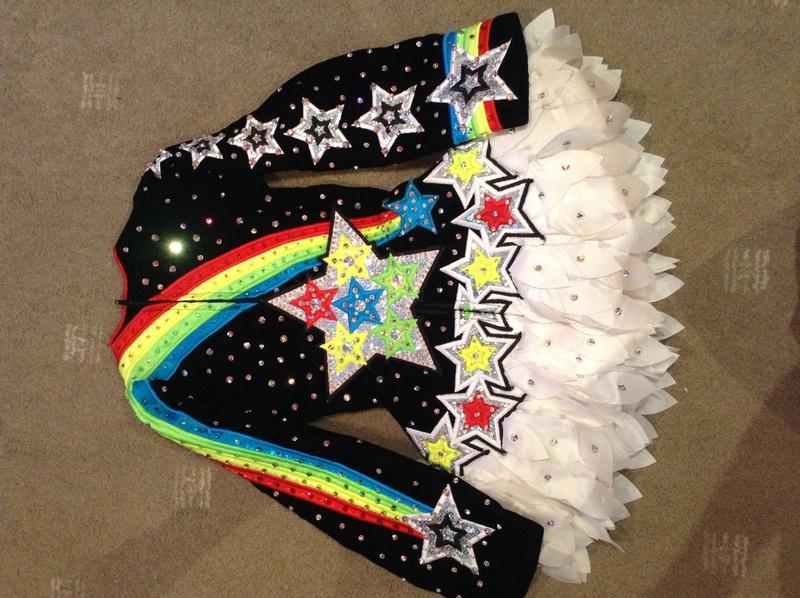 Stunning Gavin dress for sale, beautiful on and off the stage, covered in both AB and coloured Swarovski crystals in various sizes, this dress comes from a smoke and pet free home, a growth spurt forces the sale.. 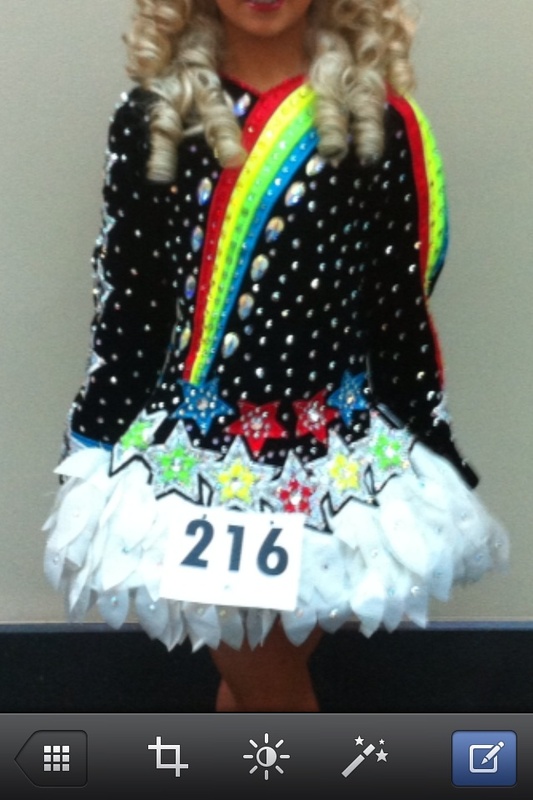 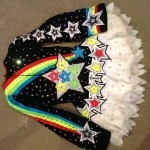 The dress will NOT be available until after GB Championships in October. 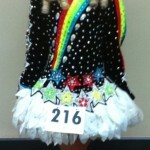 The dress comes with white kickpants and a rainbow hairband.